To me, a knife is a tool, much like a hammer or wrench. It is a tool which I use daily, but still, it is a tool. I can’t get really worked up over a knife like I can a gun. Reviewing a gun is a very different experience for me than reviewing a knife. Guns are what I love. Knives are tools. 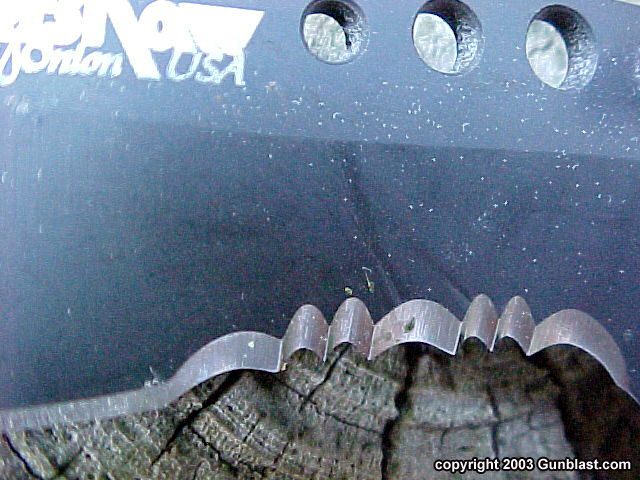 Still, just like with any other tool that I use, when I use a knife, I want it to be of the highest quality. 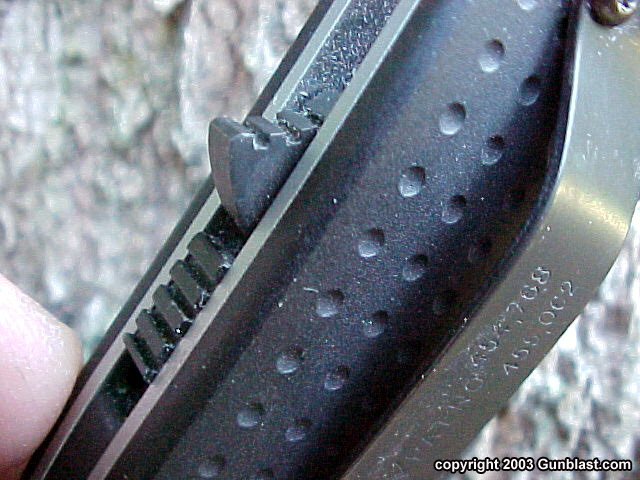 A knife that is cheaply made or that doesn’t take a sharp edge and hold it well is a liability, not an asset. Nothing is more aggravating than a knife that will not perform its duties. Since the basic knife has been with us for several centuries now, and bearing in mind that it has few component parts, it would seem reasonable to expect every knife to be well made and hold a keen edge, but the sad truth is that many knives are junk. It seems that for every good knife available, there are many knife makers who will spare no effort to build a cheaper version out of junk steel. For many years I would not even consider a knife with a stainless blade, due to some of the stainless alloys used in the past. However, metallurgy has come a long way in recent years, bringing with it much improved blade steels that are resistant to rust. A few months ago, we received here at the palatial offices of Gunblast.com a few knives from various makers for testing. 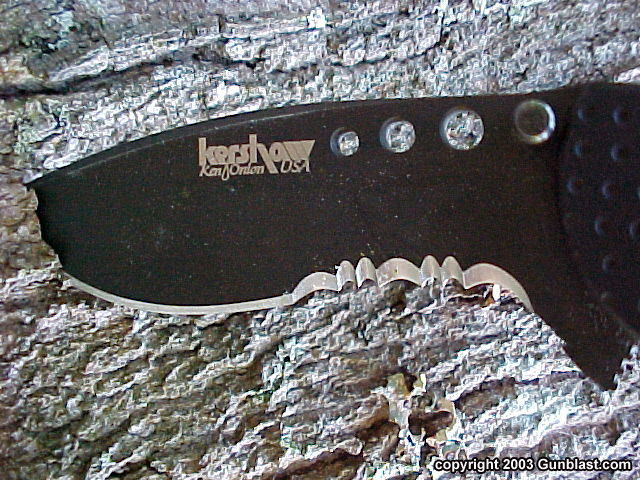 There are included in the mix several good quality knives, and a few of lower quality. I set the box aside and continued to spend the majority of my efforts on shooting other people’s guns, a pastime which I greatly enjoy. About four weeks ago, I decided that my pocket knife needed a good sharpening, then I spotted the box of knives on the product shelf. Looking carefully through the folders, I came across a couple that were imported from far off exotic places, such as China and Taiwan. That did not stir my interest. 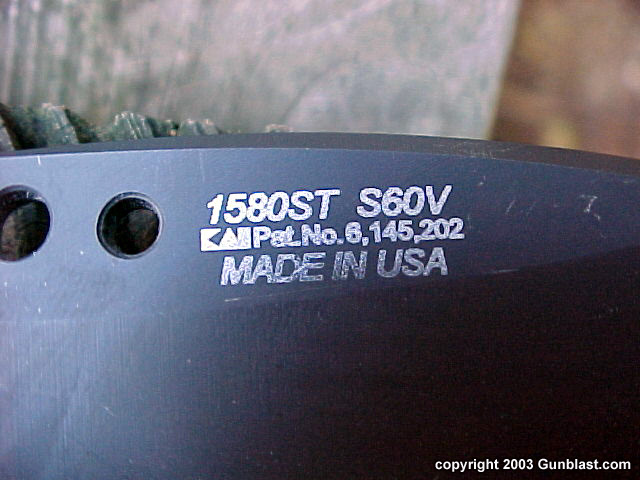 Asia is perfectly capable of making a good blade, but most are built there to achieve a low price. A good knife doesn’t have to be expensive, but it is a sum of its parts. Just as they do not grind up prime rib-eye steaks to make cheap hot dogs, you can’t make a cheap knife from expensive parts. 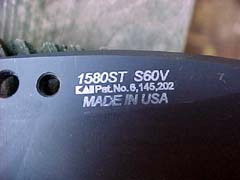 Spotting a small box marked "Kershaw" and "Made in the USA", I proceeded to investigate its contents. 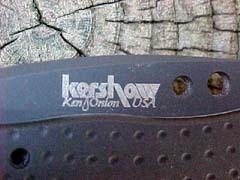 What I found is a knife that is the subject of this article; the Kershaw Boa. 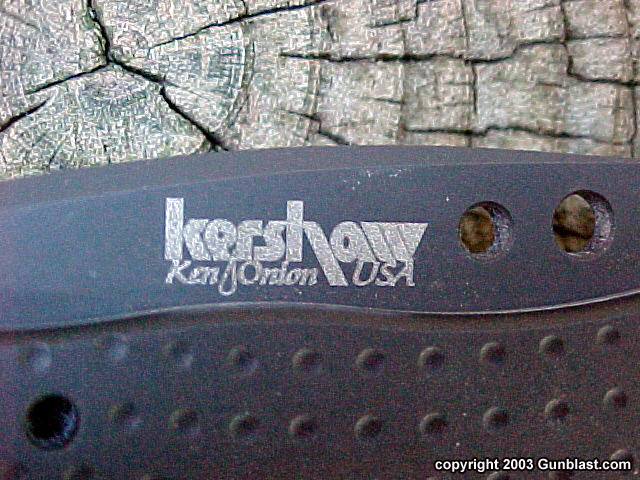 The Boa was designed for Kershaw by the acclaimed custom knife builder, Ken Onion, and his design influence shows. 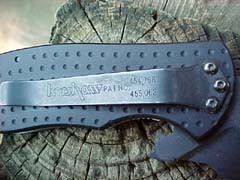 The Boa has a very useful and practical blade design that works very well for everyday chores and also as a knife to carry while hunting. The blade shape is swept just right to serve as a good skinning knife, and the liner lock secures the blade from closing unexpectedly. 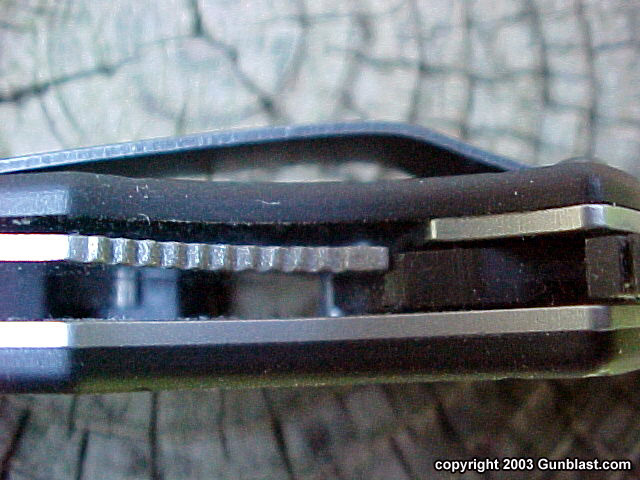 One of the most interesting features of the Boa is its easy opening "Speed Safe" design, which allows the blade to spring open much like an automatic, with the flip of an ambidextrous button on the back of the knife. There is a sliding lock that prevents the knife from opening unexpectedly. The stainless blade is 3.375 inches in length, and has a black titanium nitride finish. 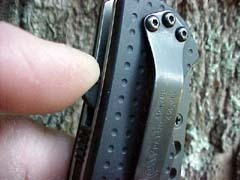 The weight of the knife is just under five ounces, and there is a pocket clip attached to the right side of the black aluminum handle. Like any good tool, the Kershaw Boa feels just right in the hand, for use without discomfort. 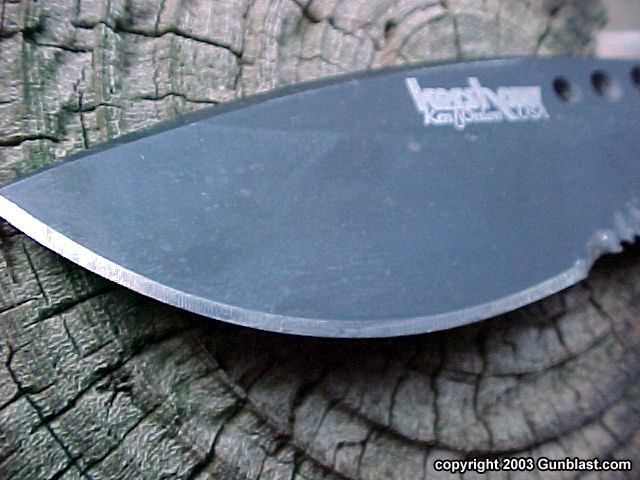 I like my knives to have sharp, thin, well-shaped blades. I use a knife for cutting, not prying or chopping. The design of the Boa allows the blade to be guided properly for cutting. It is built of quality materials, and holds an edge very well. 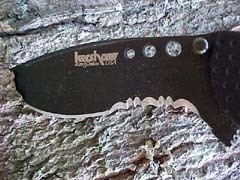 It looks good and feels good, and while it is not inexpensive, it should outlast several cheap knives. 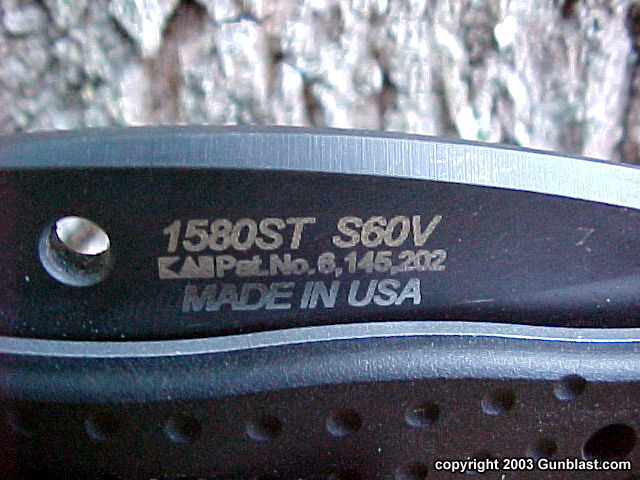 It is also backed by a lifetime warranty to the original purchaser, and is made in the USA. Like with any tools, you never regret buying quality. 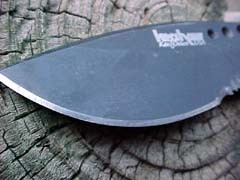 The Kershaw Boa's blade is very well-designed, and is equally at-home as a skinning blade or for everyday use. 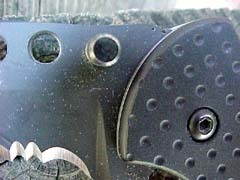 The Kershaw Boa's blade features a well-located thumb button. The Boa comes with a handy pocket clip. 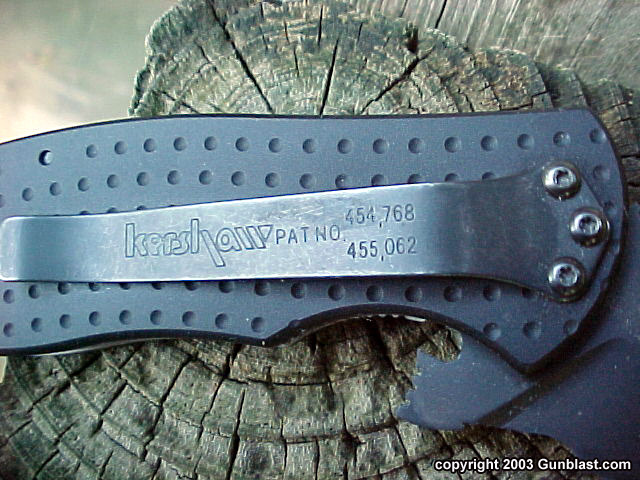 Kershaw's Liner Lock is an easy-to-use and safe design. A unique feature of the Kershaw Boa is the quick-opening Speed-Safe design.